The Rural House CIRSIUM (Barat-Visnjan) **** is an ideal accommodation for demanding guests, who wish to stay in peace and get the best value for their money (high quality service at a reasonable price). 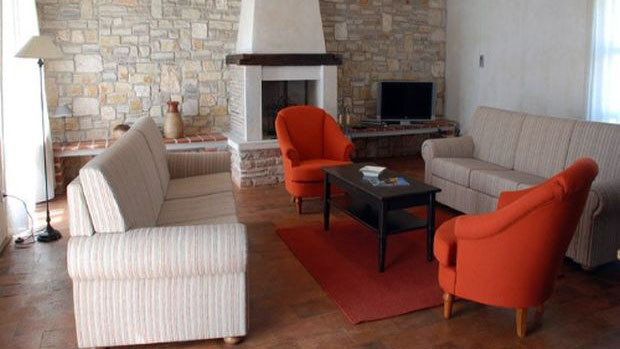 Living room with 2 double sofas, SAT-TV-LCD and telephone, completely equipped kitchen with refrigerator, microwave and coffee machine, four separate bedrooms each with 2 beds, three separate bathrooms / WC with showercab and hair dryer, passage and big terrace situated on the pool side. The rural house is integrally air conditioned. The size of the rural house is approximately 200 m2 (terrace included) and the area of the surrounding terrain is approximately 1200 m2.